Jonathan graduated from the University of Bristol in the United Kingdom in 2002 and was subsequently called to the Bar of England and Wales in 2003. Having been a Prosecutor with the Attorney-General’s Chambers and the Ministry of Manpower prior to joining Tito Isaac & Co LLP, Jonathan has a wealth of experience in civil and criminal trial litigation as well as dispute resolution matters. He has represented clients for a diversity of cases in the Singapore High Court and Subordinate Courts and has also participated in proceedings conducted under the Arbitration Rules of the International Court of Arbitration at the International Chamber of Commerce Centre (ICC). 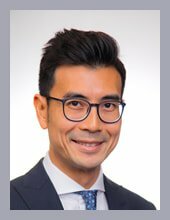 Advising and acting for an established Grade A1 Building and Civil Engineering builder in Singapore in respect of contractual, work injury and employment issues and disputes. Advising and acting for a statutory board in respect of the prosecution of regulatory offences relating to the energy sector in Singapore. During his time at the Attorney-General’s Chambers, Jonathan was also a part of the successful prosecution team for high-profile cases such as Public Prosecutor v Vidya Shankar Aiyar  SGDC 327 and Public Prosecutor v Chan Cheng Khoon (2004; unreported) (the Everitt Road neighbours’ dispute case). Additionally, Jonathan has conducted trials involving offences under the Penal Code, Misuse of Drugs Act, Workplace Safety and Health Act, Employment Act, Employment Agencies Act and the Employment of Foreign Manpower Act, including the prosecution of a large-scale case lasting more than 40 days of trial concerning the illegal employment and deployment of foreign workers by a syndicate. In relation to Jonathan’s criminal litigation practice as a Defence counsel, he received recognition from the Ministry of Foreign Affairs and Trade of the Republic of Korea in 2012 for his dedication and professionalism in advising and acting for a Korean national who was charged in the Singapore Courts with drug-trafficking offences which carried the death penalty. Acting for a former Director of a publicly listed offshore rig and ship building company who was charged in relation to multiple offences under the Prevention of Corruption Act. Jonathan helped to successfully persuade the Prosecution to withdraw all charges against the accused person. Acting for a client charged with theft. Although the accused person had a substantial record of previous convictions relating to similar offences, Jonathan successfully argued for a Mandatory Treatment Order to be made under the Criminal Procedure Code in lieu of imprisonment on the basis of her severe mental health and behavioural conditions. Acting for a National Serviceman charged with causing grievous hurt by a rash act in relation to an incident which occurred during a training session. Jonathan helped to successfully persuade the Prosecution to amend the original charge carrying a usual sentencing tariff of detention to a significantly less-serious charge for a non-registrable offence for which only a fine was subsequently imposed. Acting for a foreign exchange student in Singapore investigated for the outrage of modesty of a woman. Jonathan helped to successfully persuade the investigators to issue a warning in lieu of prosecution. Acted for a foreign business owner in Singapore investigated for multiple offences relating to the illegal employment of foreign manpower. Jonathan helped the client to successfully persuade the investigators and the relevant authority to only take administrative action in lieu of prosecution. Acting for the founder of a hygienic products manufacturing company who was charged in relation to offences under the Prevention of Corruption Act. Jonathan helped to successfully persuade the Prosecution to withdraw all charges against the accused person. Acting for a Korean national charged in relation to the exportation of drugs from Singapore. Jonathan helped to successfully persuade the Prosecution to amend the original charge carrying the mandatory death penalty to a significantly less serious charge for which only a period of imprisonment was subsequently imposed. The accused person has since completed his sentence of imprisonment and returned to his home country. Apart from his litigation experience, Jonathan has previously worked in the corporate finance department of a highly-regarded local law firm where he was involved in corporate and commercial transactions including equity offerings, share acquisitions and disposals, joint ventures as well as mergers & acquisitions. Jonathan regularly represents pro bono clients in criminal matters and is a volunteer lawyer with the Law Society’s Criminal Legal Aid Scheme (CLAS) as well as on the Supreme Court’s Legal Assistance Scheme for Capital Offences (LASCO) register of Assisting Counsel. He is also a volunteer mediator with the Consumers Association of Singapore (CASE) and is a member of its Consumer Law Review Committee. In his spare time, Jonathan enjoys listening to the music of Neil Young, Jackson Browne and the Eagles.